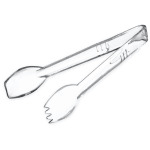 The Carlisle 400907 Carly® salad tongs resist chipping and staining because they are made of polycarbonate. 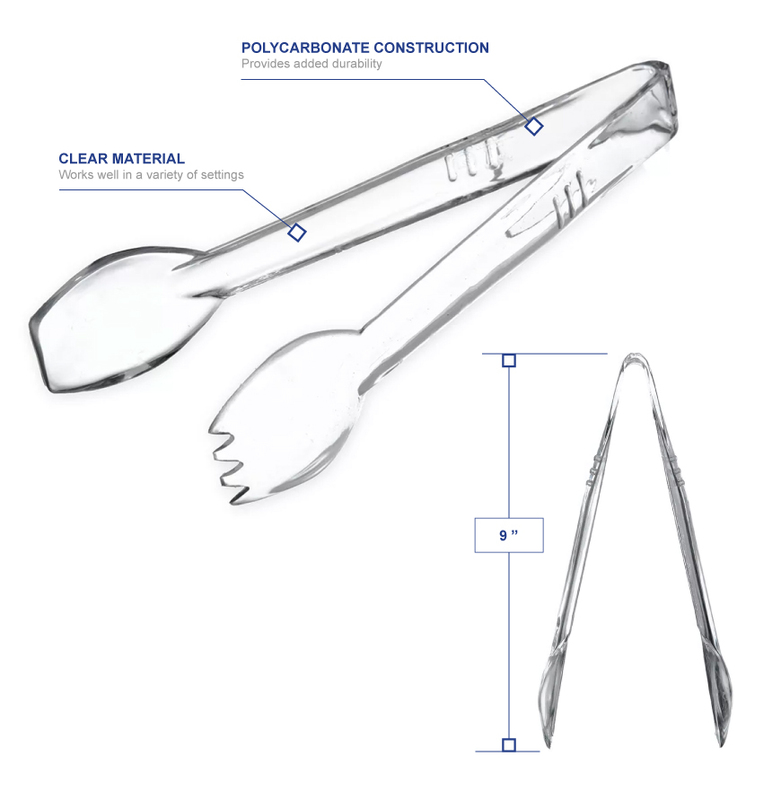 Since they can endure temperatures between -40 and 212 degrees Fahrenheit, the tongs are dishwasher safe. 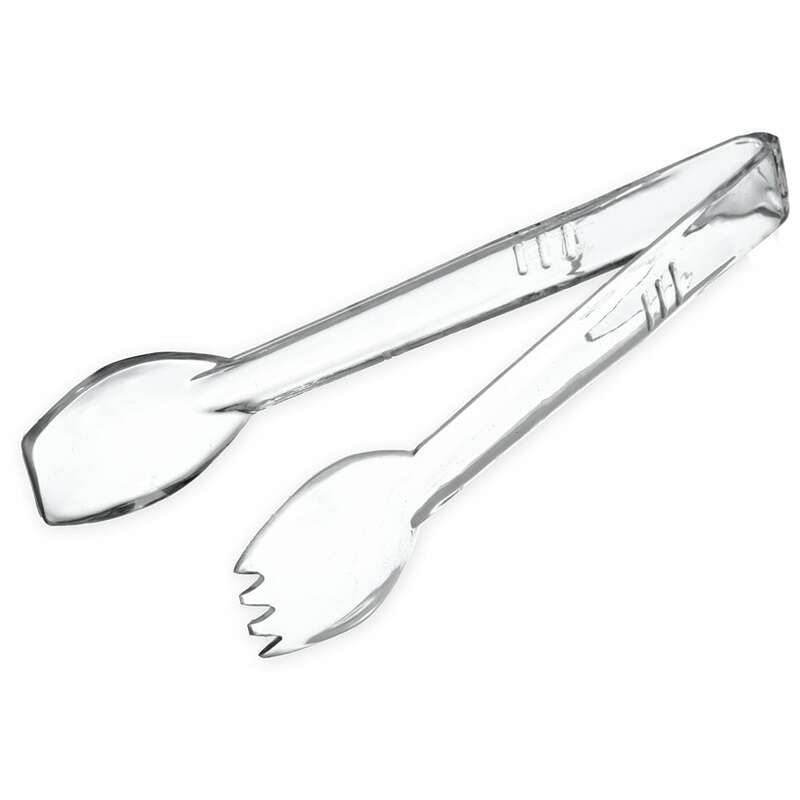 With their 9.03-inch length and 1.75-inch width, the clear tongs work well in different settings.